"Take a Jane Austen novel, combine it with Lifestyles of the Rich and Famous and set it in the glittering capitals of Shanghai, Hong Kong and Singapore. What have you got? This deliciously fun follow-up to Kwan's bestselling Crazy Rich Asians...[a] field guide to Asia's uberwealthy echelon and comic satire at its best." "The summer's funniest beach read. When Crazy Rich Asians hit shelves in peak beach-read season two summers ago, readers ate up its unrestrained and uproarious fictional depictions of the opulent lives of Asia's super elite. . . China Rich Girlfriend follow[s] the same multitentacled clan and their world-traveling, high-spending, and backstabbing antics." "China Rich Girlfriend is an engaging page-turner with a multi-layered, inventive narrative. Kwan has clearly taken a few lessons from one of America's great social satirists - think Tom Wolfe set loose on the wealthiest enclaves of Confucian Asia… His sequel is not only dazzlingly creative (a private jet decorated to look like a Balinese resort? Take me there, please!) and rollicking good fun, but also ambitious in its scope and dimension. 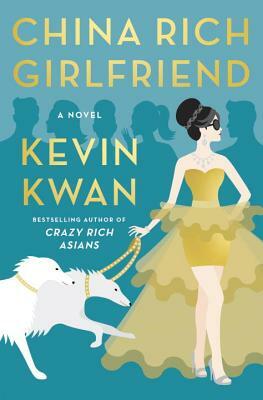 With China Rich Girlfriend, Kwan shows readers that to get rich is one thing, but to get crazy rich is glorious. He also proves his standing as one of the few authors talented, confident and savvy enough to engage an international readership and serve up the New Asia on a gleaming 24-karat gold platter."